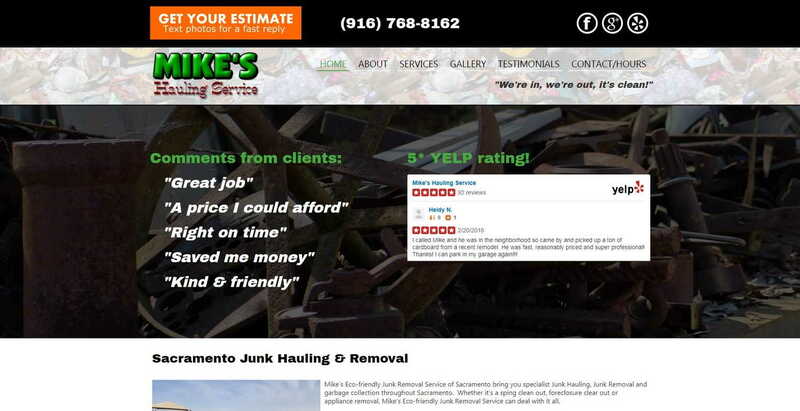 Mike's Junk Hauling are one of our earlier clients. He had an old site when he contacted us to rebuild it. We've updated the site 2-3 times since, with the latest redition to give a nicer, modern, full-width look. We added large Calls-to-action including a CTA to send images for an estimate via text message. Mike loved this feature as it really helps him give a quick, accurate quote.